The Native American Studies Program offers students the opportunity to undertake a comparative study of the pre-Columbian, colonial, and contemporary cultures of North and Latin America. 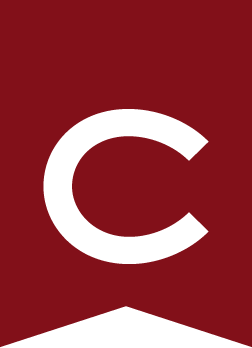 The required and elective courses are drawn from a wide range of disciplines, representing the various topical and regional interests of Colgate faculty whose specializations include archaeology, art, cultural anthropology, education, ethnomusicology, geography, history, law, literature, and religion. Themes and topics of the major include the integrity, richness, and complexity of Native cultures; the reciprocal impact of contact between Native and non-Native populations in the Western Hemisphere; modes and processes of culture change; cultural disruption, resistance, and vitality; social movements; indigenous ways of knowing; and an understanding of the variety of methodological and theoretical approaches to Native American Studies, including comparisons with other indigenous cultures. A major in Native American Studies provides an excellent foundation for graduate education in the disciplines mentioned, as well as professional work in areas such as contract archaeology, environmental and cultural resource management, government services, non-governmental and non-profit organizations, law, museums, public health, and teaching. Majors may achieve honors by having, at graduation, a minimum GPA of 3.30 in major courses and a minimum overall grade of 3.00. The candidate for honors also completes a research paper, written either in a 400-level independent study course or revised from a paper written in a 400-level course, or the equivalent, that is arranged in advance as an honors paper in Native American Studies. The honors paper must be judged to be of honors quality by a committee of two professors in Native American Studies, designated by the candidate in consultation with the program director. The candidate works with both professors (adviser and second reader) who are consulted during thesis development and provide comments on at least one substantive draft of the research paper prior to their final evaluation. The candidate for high honors must have, at graduation, a minimum GPA of 3.70 in major courses and a minimum overall grade of 3.00. The candidate for high honors produces a research paper, as described above, which is arranged in advance as a high honors paper. The paper must be judged to be of high honors by a committee consisting of two professors in Native American Studies, designated by the candidate in consultation with the program director. The candidate receives high honors by defending the paper with distinction in an oral examination conducted by at least three professors identified by the Native American Studies Program director. An off-campus study group to Santa Fe, New Mexico, is offered to enable a select group of Colgate students to further their understanding of Native American history, archaeology, life, and culture. For more information, see Off-Campus Study . Majors and minors are strongly encouraged to participate in this study group. In conjunction with NAST 300 - Continuity in Pueblo Communities : Developing Models for Cultural Understanding, extended study in New Mexico offers students the opportunity to consider how cross-cultural understanding is developed and where and when it is frustrated. The Anthony Aveni Award for Excellence in Native American Studies — awarded by the program for excellence in Native American studies.